Our long-term goal for this conference is to bring together tribal leaders, community partners, government officials, educators, students, and community members to engage in productive dialogue to help Utah’s tribal communities grow and thrive. Governor Gary R. Herbert has led Utah’s recovery from the Great Recession to a position of national economic prominence. His focus on economic development includes attracting businesses and investment to the state while helping homegrown businesses flourish. The Governor is focused on four cornerstones to strengthen Utah’s economy: education, jobs, energy and self-determination. As a result, Utah has become a premier destination for business, jobs, and an unsurpassed quality of life. As Utah’s 17th Governor, he took the Oath of Office on August 11, 2009. 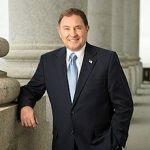 Prior to becoming the states’ chief executive, Governor Herbert served as Lieutenant Governor for five years and a Utah County Commissioner for 14 years. Governor Herbert and his wife, Jeanette, are the proud parents of six children and 16 grandchildren. 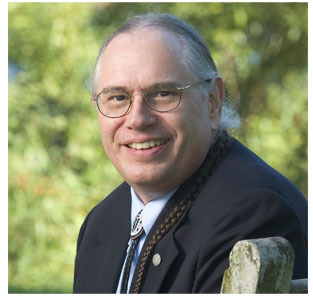 Terry Cross (Ha-ne-ga-noh), an enrolled member of the Seneca Nation, received his master’s degree in social work from Portland State University in Portland, Oregon. He is the founding executive director of the Native American Child Welfare Association, now serving as senior advisor. He is the author of "Positive Indian Parenting" and co-authored "Towards a Culturally Competent System of Care," published by Georgetown University. He has 40 years of experience in child welfare, including 10 years direct practice. We are honored to have Paiute Indian Tribe of Utah serve as Host Tribe for the 14th Annual Governor's Native American Summit. Come prepared to learn more about the Paiute Indian Tribe of Utah as they share their culture through cultural performances, hands on make-and-take crafts and tribal highlights during the morning plenary sessions. We will provide updates as details are finalized. The annual Governor’s Native American Summit is the only event of its kind in Utah, where state government, tribal leaders, community partners, educators, students, and community members converge to celebrate Native culture and find solution to issued impacting Utah’s American Indian communities. As a sponsoring partner, your company/organization will have an opportunity to interact directly with Utah’s Native American community and the 500 expected attendees. We invite you to be a contributing community partner for next year's Summit. For more information, contact James Toledo. The annual Governor's Native American Summit is the only event of its kind in Utah, where state government, tribal leaders, community partners, educators, students, and community members converge to celebrate Native culture and find solutions to issues impacting Utah's American Indian communities. As an exhibiting partner, your organization will have an opportunity to interact directly with Utah's Native American community and the 500 expected attendees. If you would like learn more about vendor or exhibit opportunities, please email James Toledo. We are honored to have the Paiute Indian Tribe of Utah host the summit.